I will admit I am not a Delhiite. Despite being new to this city, one thing I can already say is that Delhi is magical. This city has so much to offer to every single person and especially a lot to a foodie like myself. I have made it my goal to explore Delhi to its smallest nook and cranny and in my initial search for food joints around the city; I found a true gem in Moolchand. Located right next to Moolchand metro station, Sanjay Chur Chur Naan offers extraordinarily scrumptious stuffed naans to its customers. Even though this joint faces a lot of competition from its neighbouring restaurants, it still attracts a very large number of customers every day because of its unique concept. Why is it that when we order stuffed naan or paratha we need a vegetable curry to eat it with? What is the point of the stuffing then? This is exactly what Mr. Sanjay thought before he decided to create naans with ample stuffing to forego the need of vegetable gravy. For over 35 years, Sanjay Chur Chur Naan has served delicious stuffed naans at an affordable price to its numerous patrons. Each plate, priced at Rs. 130, serves two huge naans with Dal Makhani, buttermilk and yogurt. The naans are cooked in Tandoor and are offered with a variety of stuffing ranging from potatoes to mushrooms. 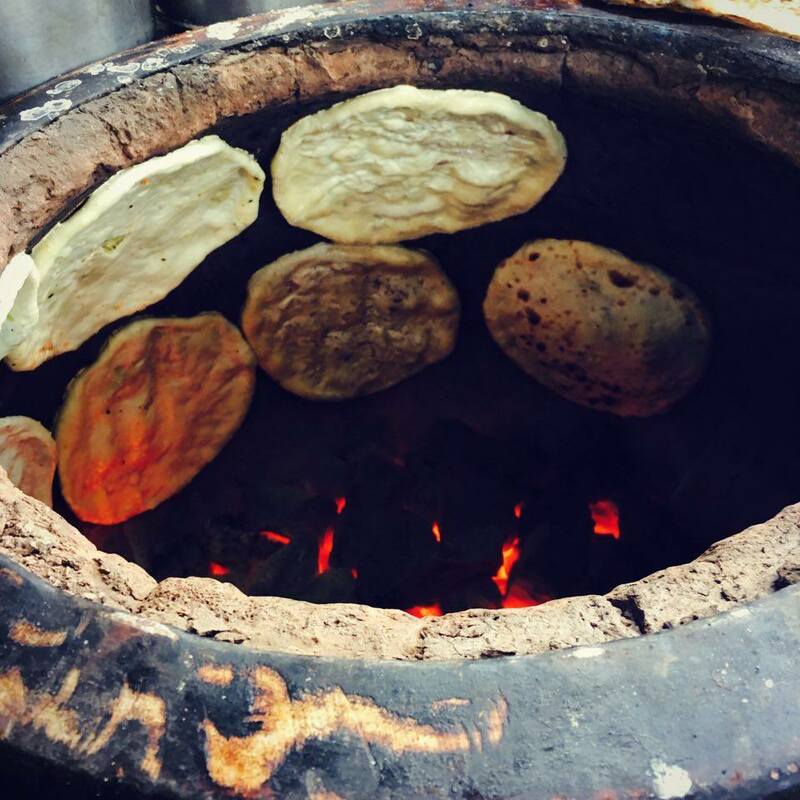 The naans are made fresh and are served within a few minutes of placing an order. The naans, a perfect balance of soft and crispy, served hot with creamy dal makhani and chilled buttermilk, make for a great breakfast or a lunch meal. 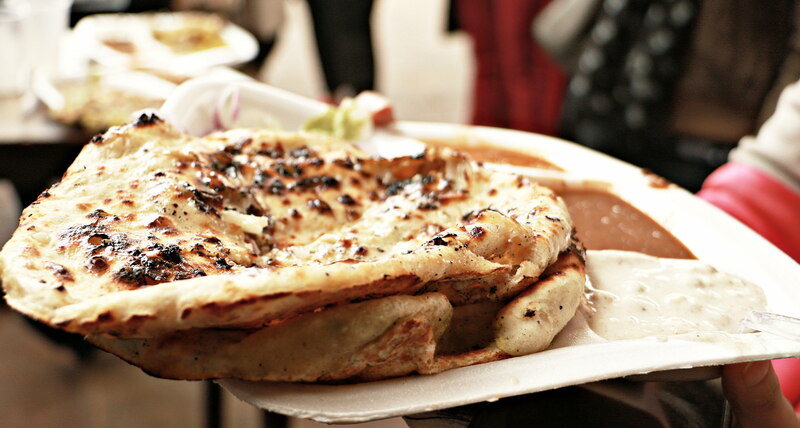 They are very well stuffed and it is usually difficult for one person to have both the naans. But not to worry, according to Mr. Sanjay, the buttermilk helps digest the heavy meal of naans and regulates one’s metabolism as well. Apart from the naans, the joint also serves a variety of flavours of lassis, ranging from anjeer ki lassi to chocolate lassi, each so delicious that picking one is a tricky task. Despite being an all vegetarian eatery, with no seating arrangements, the demand for Chur Chur naan is ever increasing. Mr. Sanjay has now decided to start another branch in Delhi but before that, Sanjay Chur Chur Naan is opening an outlet in Mumbai, specifically in the Ghatkopar area. So, any Mumbaikars reading this keep a look out for this joint and do give it a try.